David Wong is the Susan Fox Beischer and George D. Beischer Professor of Philosophy. Before he came to Duke, he was the Harry Austryn Wolfson Professor of Philosophy at Brandeis University and the John M. Findlay Visiting Professor of Philosophy at Boston University. The main subjects of his research include 1) the nature and extent of moral differences and similarities across and within societies and how these differences and similarities bear on questions about the objectivity and universality of morality; 2) the attempt to understand morality naturalistically as arising from the attempt of human beings to structure their cooperation and to convey to each other what kinds of lives they have found to be worth living; 3) the nature of conflicts between basic moral values and how these give rise to moral differences across and within societies; 4) how we attempt to deal with such conflicts in moral deliberation; 5) the relevance of comparative philosophy, especially Chinese-Western (Confucianism, Daoism, Buddhism) comparative philosophy, to the above subjects; 6) Whether our reasons to feel and act are based solely on what we already desire or whether reasons transcend what we desire and are used to critically evaluate and shape our desires; 7) the extent to which a person's recognizing that she has reasons to feel and act in certain ways can enter into the constitution of her emotions and change those emotions. His books include Moral Relativity (University of California Press, 1984) and Natural Moralities (Oxford University Press, 2006). A book of critical essays on Natural Moralities is Moral Relativism and Chinese Philosophy: David Wong and his Critics, ed. by Yang Xiao and Yong Huang, SUNY Press, 2014), with responses by Wong to the essays. Wong has co-edited with Kwong-loi Shun Confucian Ethics: a Comparative Study of Self, Autonomy and Community (Cambridge University Press, 2004). Articles and chapters include "Coping with Moral Conflict and Ambiguity," (Ethics, 1992), "Xunzi on Moral Motivation" (Chinese Language, Thought, and Culture: Nivison and his Critics, 1996), "Reasons and Analogical Reasoning in Mencius" (Essays on the Moral Philosophy of Mengzi, 2002), "Relational and Autonomous Selves" (Journal of Chinese Philosophy, 2004), "Zhuangzi and the Obsession with Being Right" (History of Philosophy Quarterly, 2004), “A Relational Approach to Environmental Ethics” (with Marion Hourdequin, Journal of Chinese Philosophy, 2005),"Moral Reasons: Internal and External," (Philosophy and Phenomenological Research, 2006), "Emotion and the Cognition of Reasons in Moral Motivation" (Philosophical Issues 2009), "Complexity and Simplicity in Ancient Greek and Chinese Thought" (in How should we live? Comparing Ethics in Ancient China and Greco-Roman Antquity, ed. Dennis Schilling and Richard King 2011), "How Are Moral Conversions Possible?" (in In Search of Goodness, ed. Ruth Grant 2011), "Sustaining Cultures in the Face of Globalization" (with Nicole Hassoun, Culture and Dialogue, 2013), "On Learning What Happiness Is" Philosophical Topics, 2013, actually appearing in 2015), "Integrating Philosophy with Anthropology in an Approach to Morality" (Anthropological Theory, 2014), "The Different Faces of Love in a Good Life" (in Moral Cultivation and Confucian Character: Engaging Joel J. Kupperman, ed. Chengyang Li and Peimin Ni 2014), "Early Confucian Philosophy and the Development of Compassion" (Dao: A Journal of Comparative Philosophy, 2015), "Growing Virtue: The Theory and Science of Developing Compassion from a Mencian Perspective" (in The Philosophical Challenge from China, ed. Brian Bruya 2015). He has written articles on moral relativism for A Companion to Ethics, The Routledge Encyclopedia of Philosophy, The Encyclopedia of Ethics, and Dictionnaire de philosophie morale, and articles on Comparative Philosophy, Chinese and Western" and "Chinese Ethics" for the Stanford Encyclopedia of Philosophy. He was interviewed on the subjects of cultural and moral relativism for the Public Television Series, "The Examined Life." He has written on comparative ethics for The Encyclopedia of Ethics and on comparative philosophy for the Stanford Encyclopedia of Philosophy and the Encyclopedia of Chinese Philosophy. Wong is co-director with Owen Flanagan of the Center for Comparative Philosophy at Duke. He is currently a member-at-large of the Board of Officers of the American Philosophical Association. Varies by semester. Please email d.wong@duke.edu for current hours. 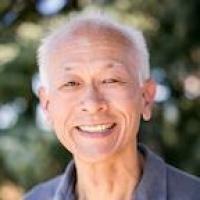 David Wong (Ph.D. Princeton, 1977) is the Susan Fox Beischer and George D. Beischer Professor of Philosophy. Before he came to Duke, he was the Harry Austryn Wolfson Professor of Philosophy at Brandeis University and the John M. Findlay Visiting Professor of Philosophy at Boston University. His works include Moral Relativity (University of California Press, 1984) and Natural Moralities (Oxford University Press, 2006), and articles and chapters on ethical theory, moral psychology and early Chinese philosophy. He was interviewed on the subjects of cultural and moral relativism for the Public Television Series, "The Examined Life." He is co-editor with Kwong-loi Shun of an anthology of comparative essays on Confucianism and Western philosophy: Confucian Ethics: a Comparative Study of Self, Autonomy and Community (Cambridge University Press, 2004). The main subjects of his research include 1) the nature and extent of moral differences and similarities across and within societies and how these differences and similarities bear on questions about the objectivity and universality of morality; 2) the attempt to understand morality naturalistically as arising from the attempt of human beings to structure their cooperation and to convey to each other what kinds of lives they have found to be worth living; 3) the nature of conflicts between basic moral values and how these give rise to moral differences across and within societies; 4) how we attempt to deal with such conflicts in moral deliberation; 5) the relevance of comparative philosophy, especially Chinese-Western (Confucianism, Daoism, Buddhism) comparative philosophy, to the above subjects; 6) Whether our reasons to feel and act are based solely on what we already desire or whether reasons transcend what we desire and are used to critically evaluate and shape our desires; 7) the extent to which a person's recognizing that she has reasons to feel and act in certain ways can enter into the constitution of her emotions and change those emotions. Wong, DB. "Dialogue in the Work of Michael Krausz." Interpretation, Relativism, and Identity: Essays on the Philosophy of Michael Krausz. Ed. Koggel, CM; Ritivoi, AD. Lexington Books, 2018. 67-74. Wong, DB. "Chinese Ethics (substantive revision)." Stanford Encyclopedia of Philosophy. Ed. Zalta, E. 2018.